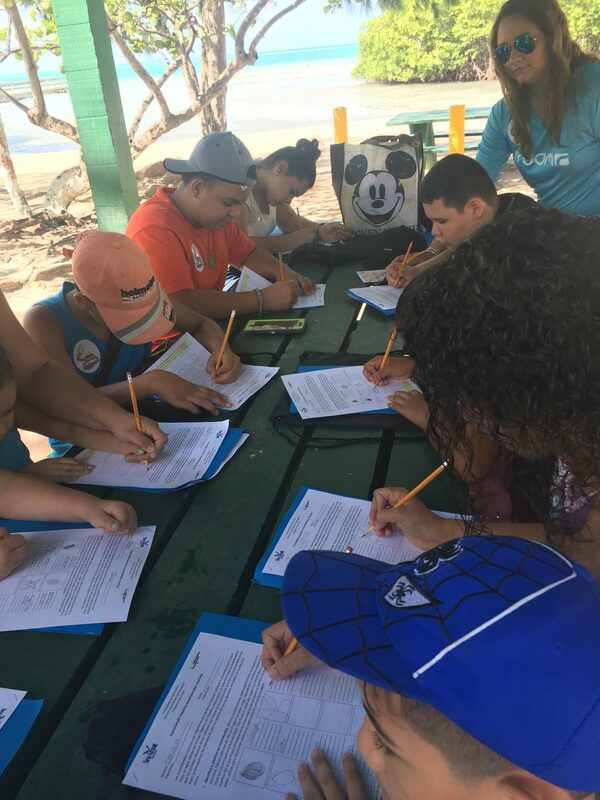 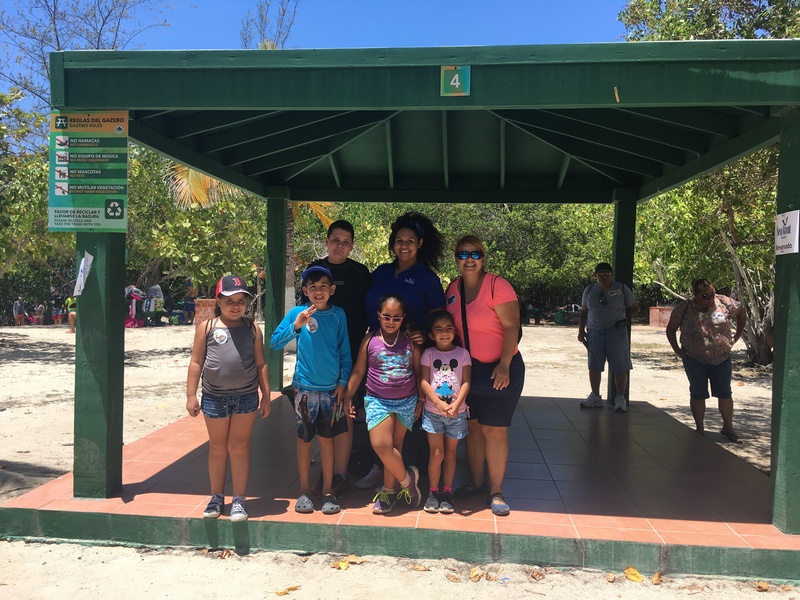 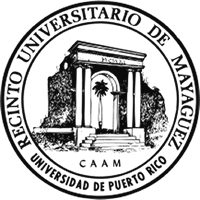 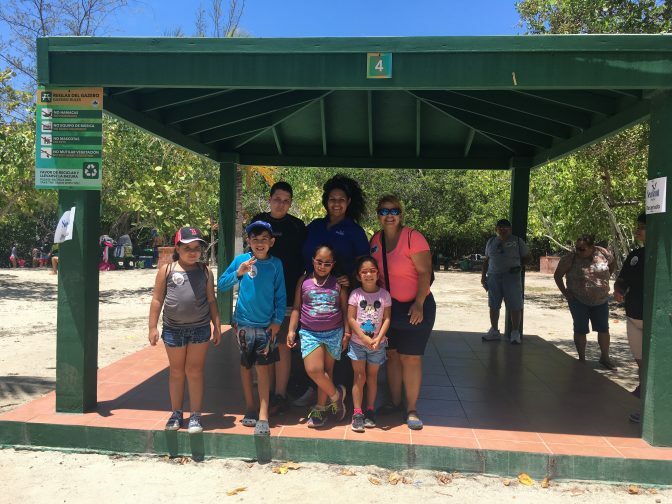 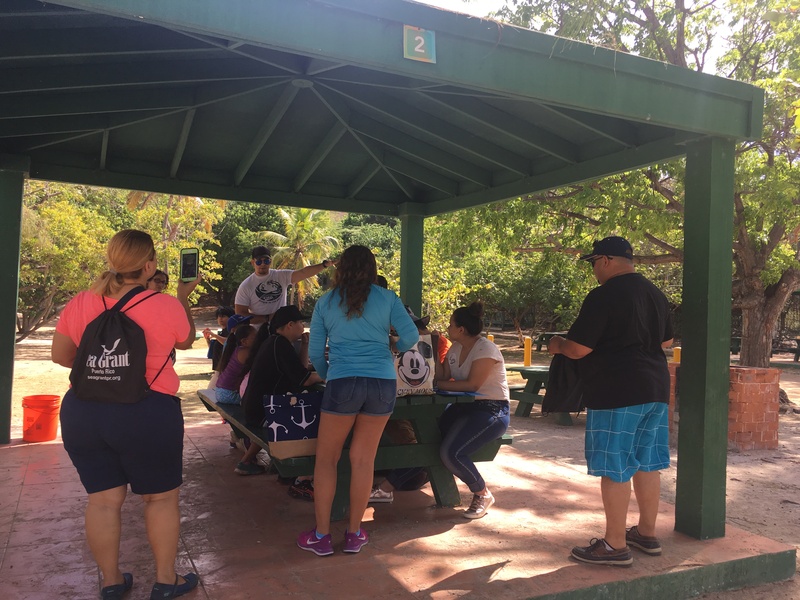 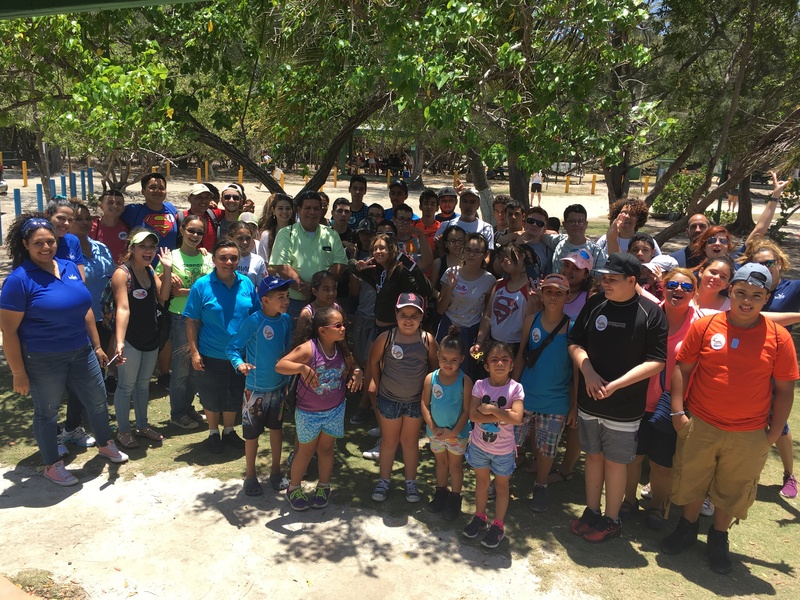 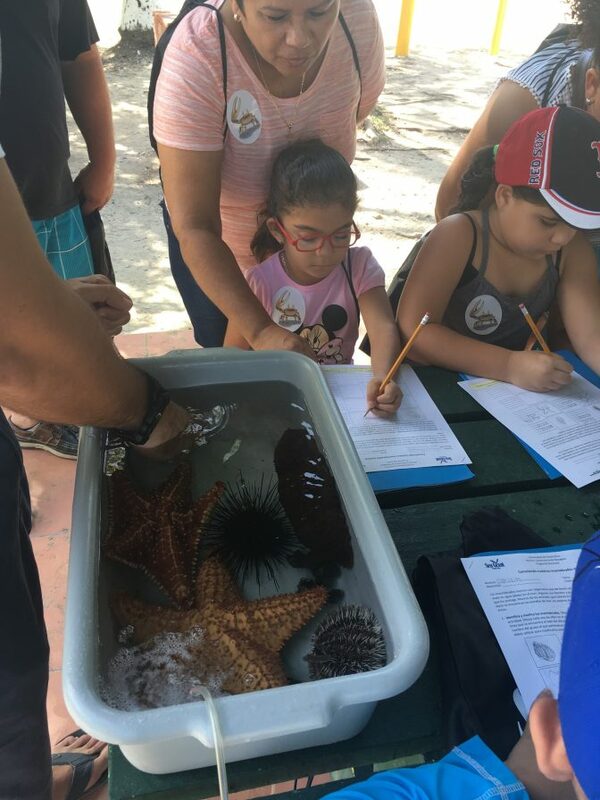 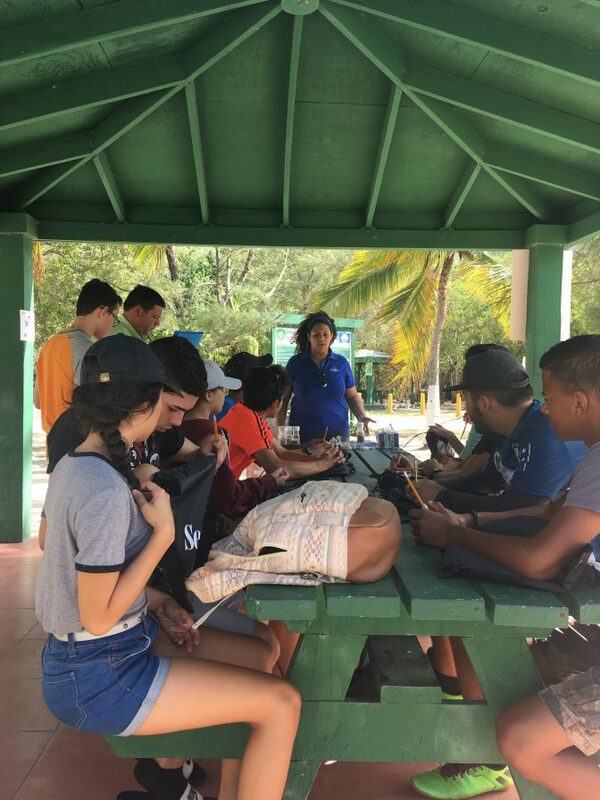 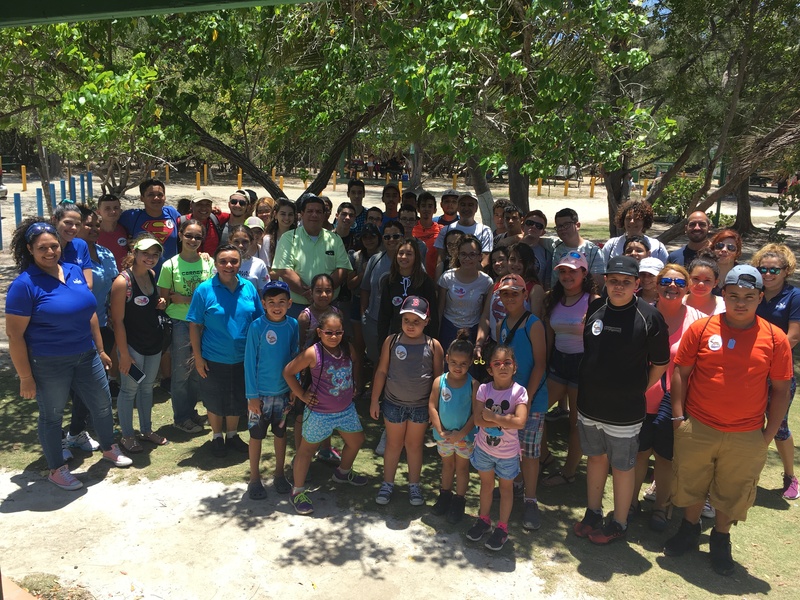 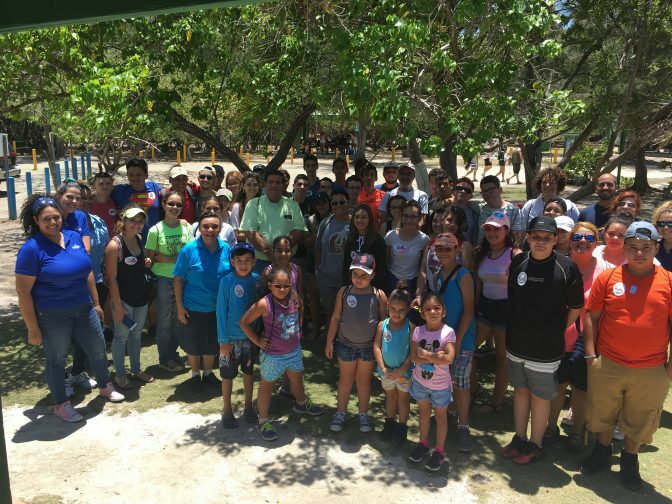 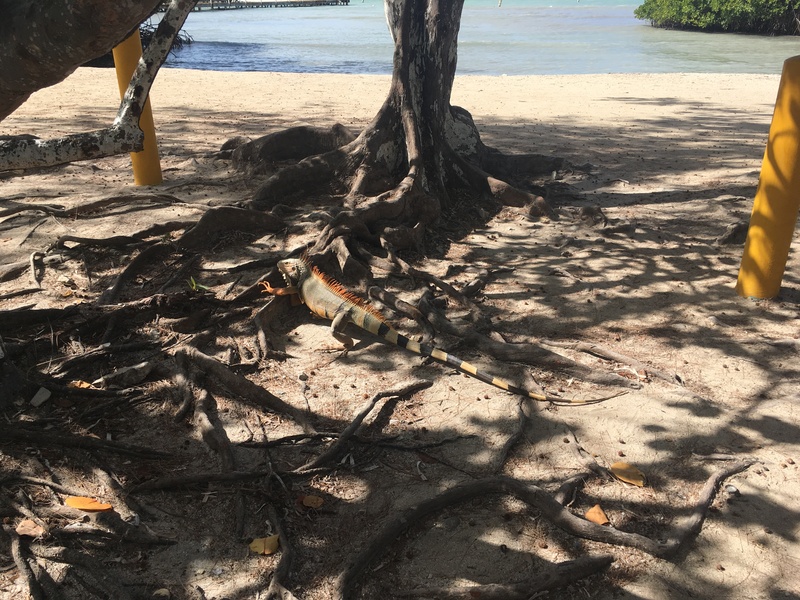 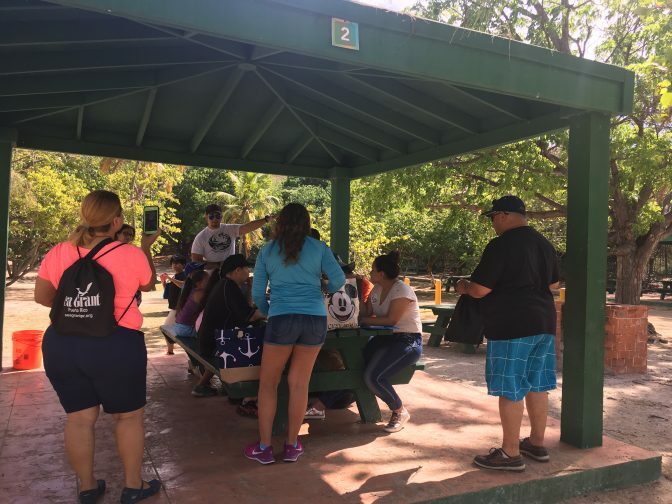 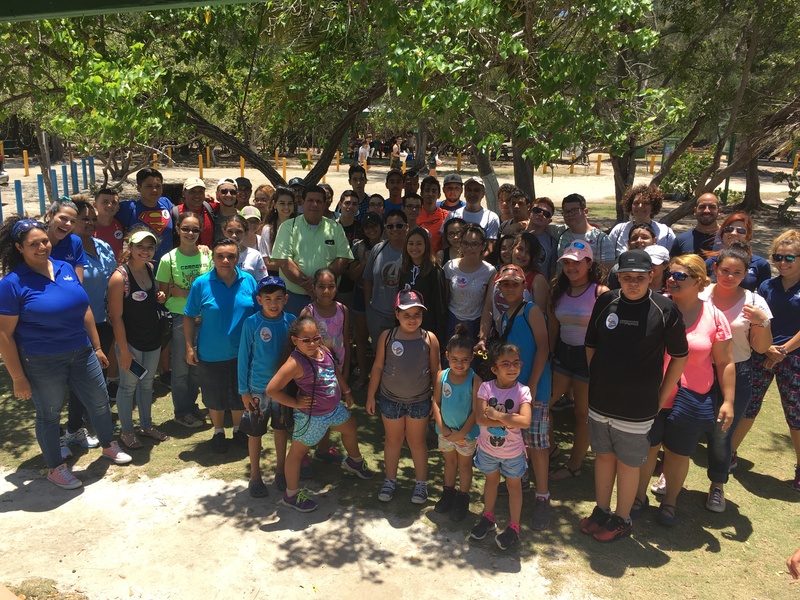 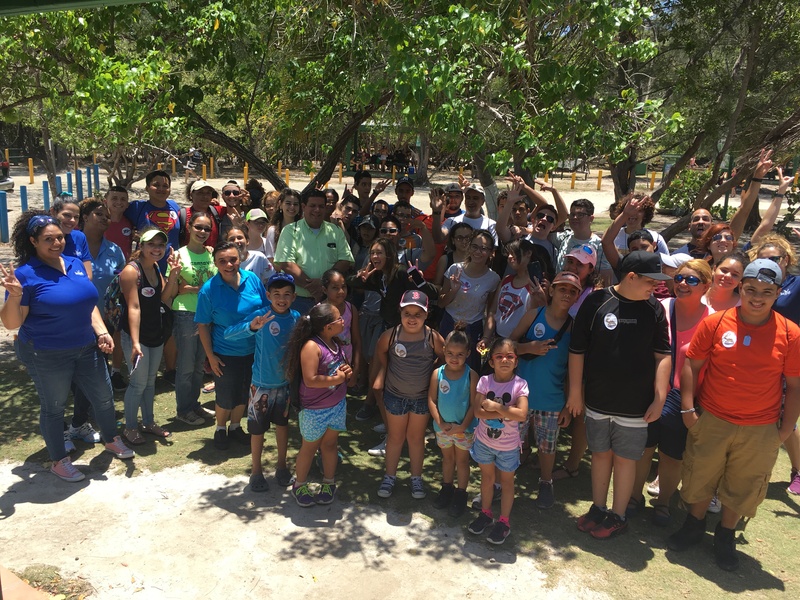 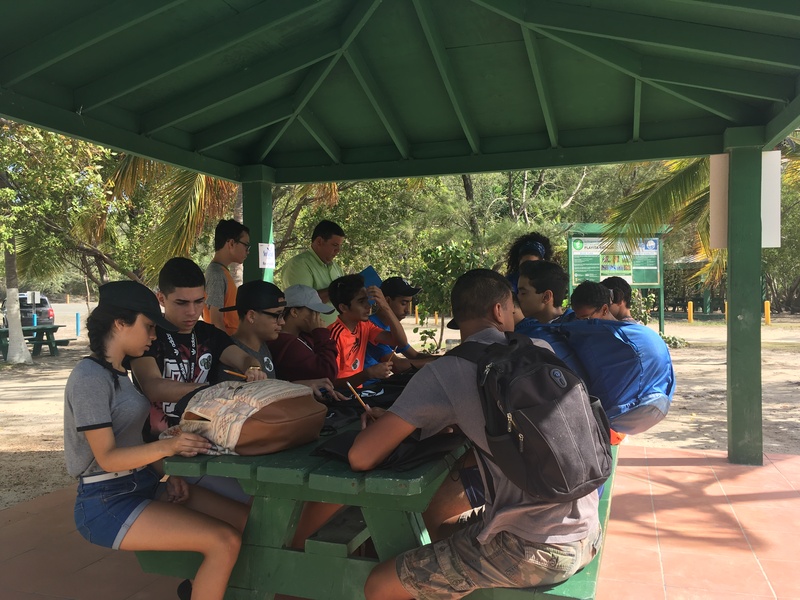 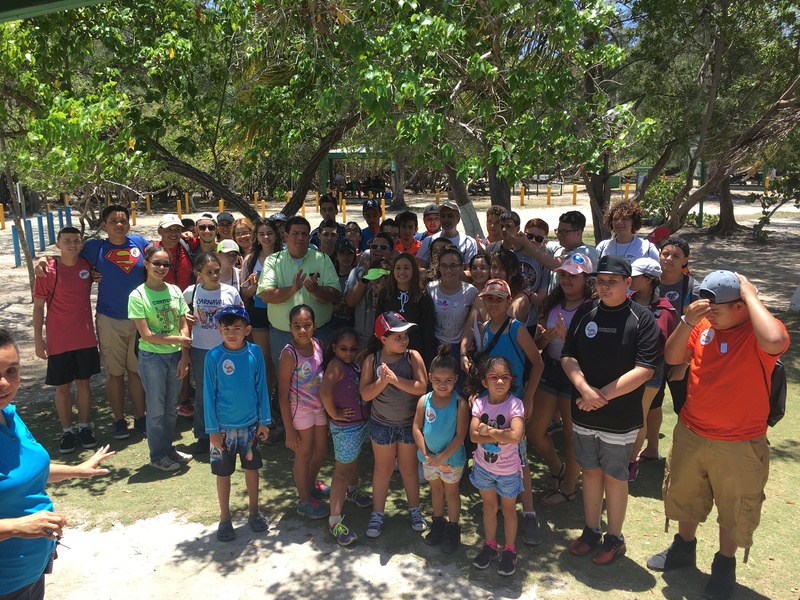 On Wednesday, June 21st, 2017, the Sea Grant Program took a group of youths participating in the Lajas Cultural Center Camp, and a group of special education students from the Francisco María Quiñones School in San Germán, on a fieldtrip to Playita Rosada. 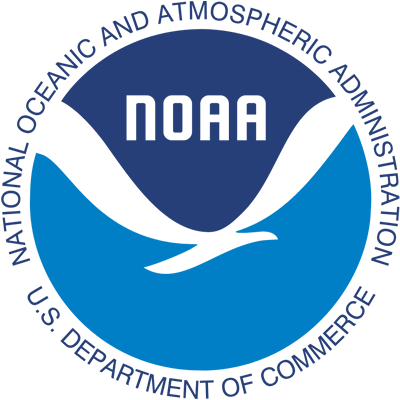 There, they had the chance to get firsthand knowledge about the marine and coastal ecosystems around us and the organisms which live there. 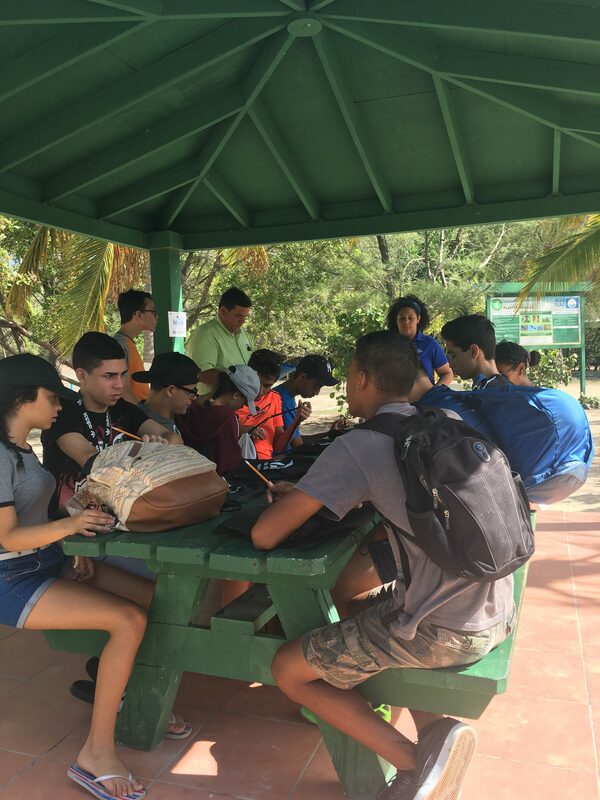 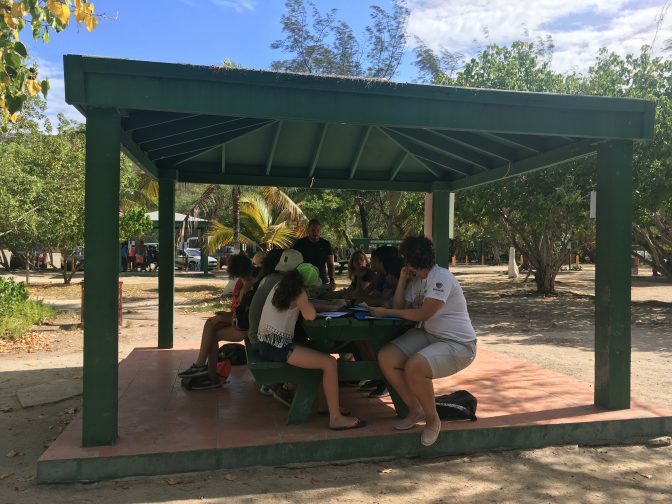 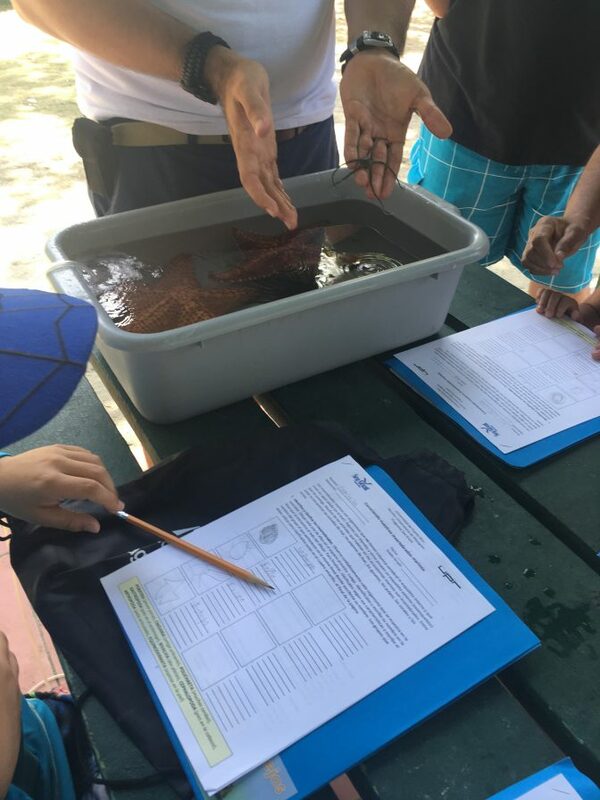 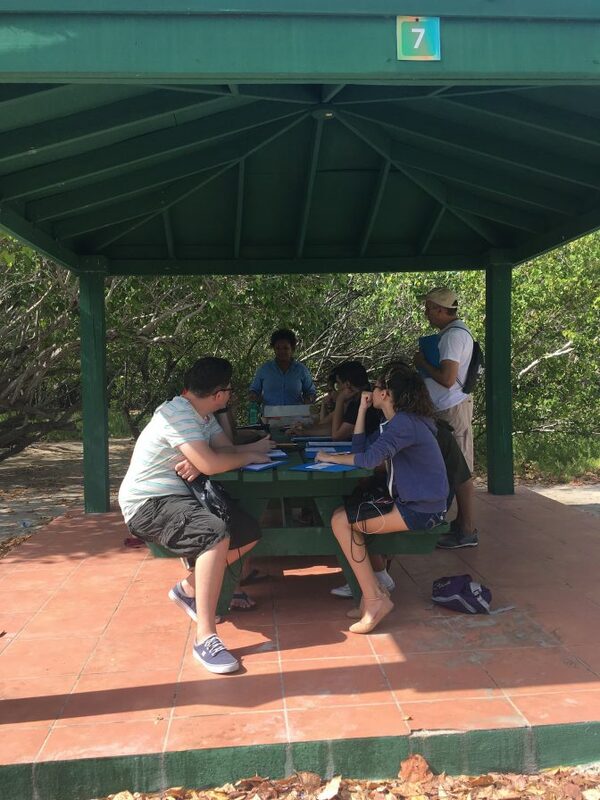 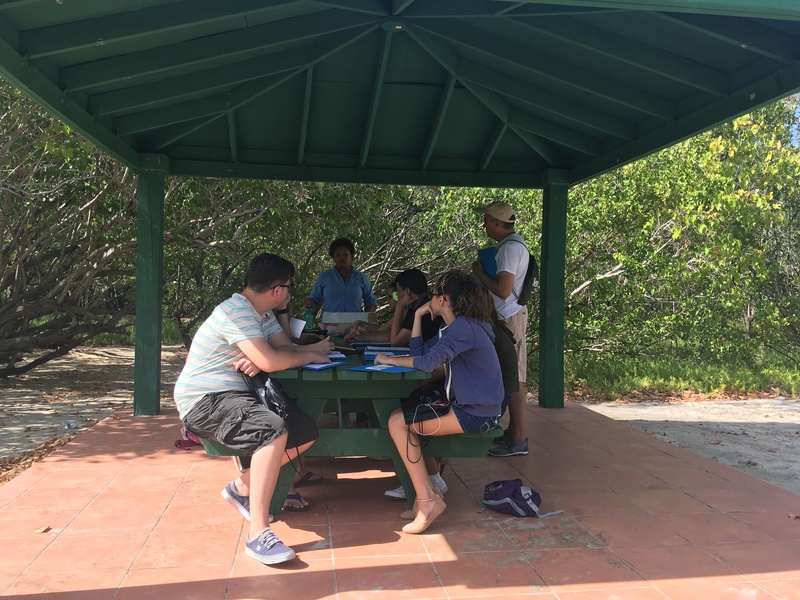 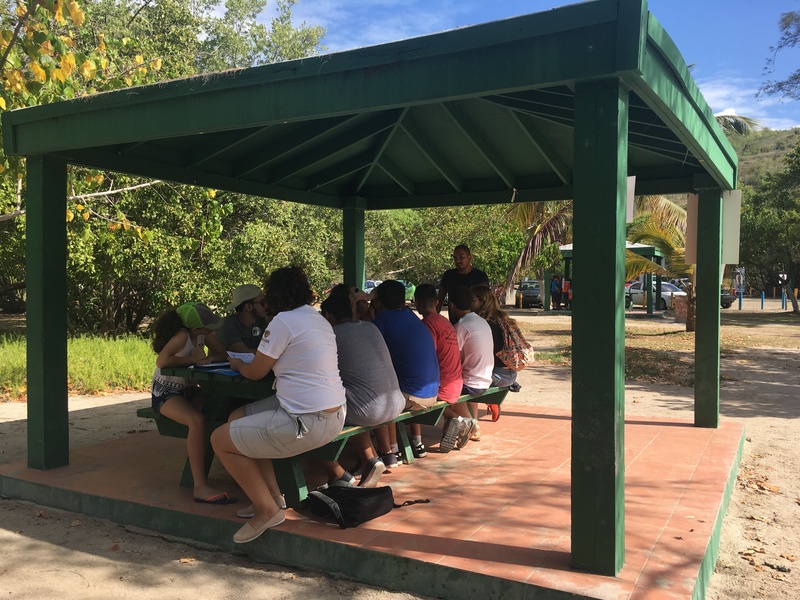 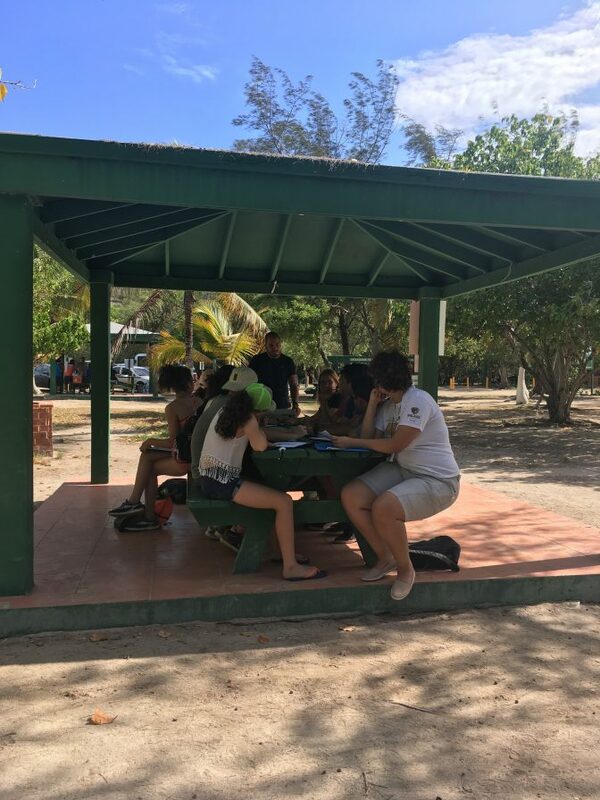 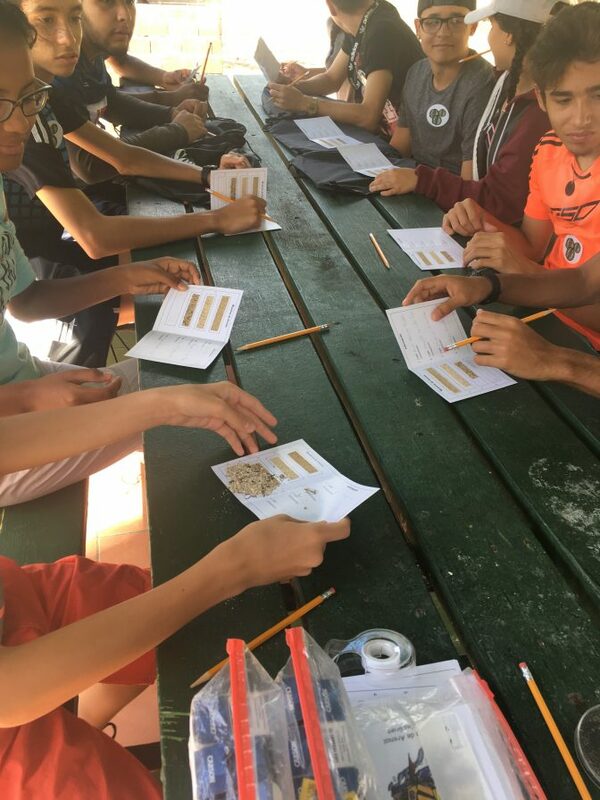 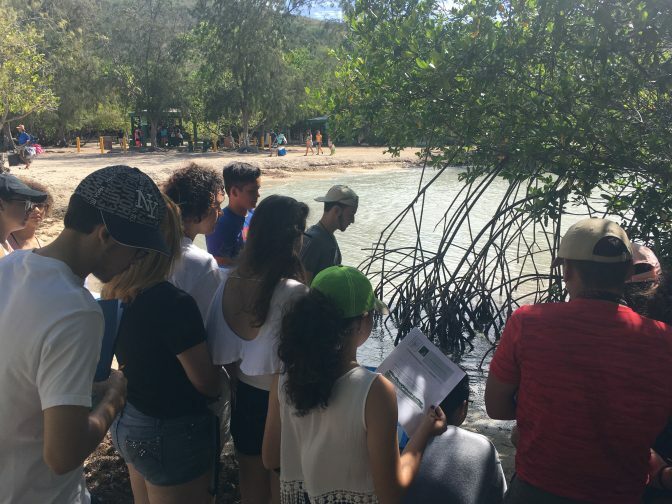 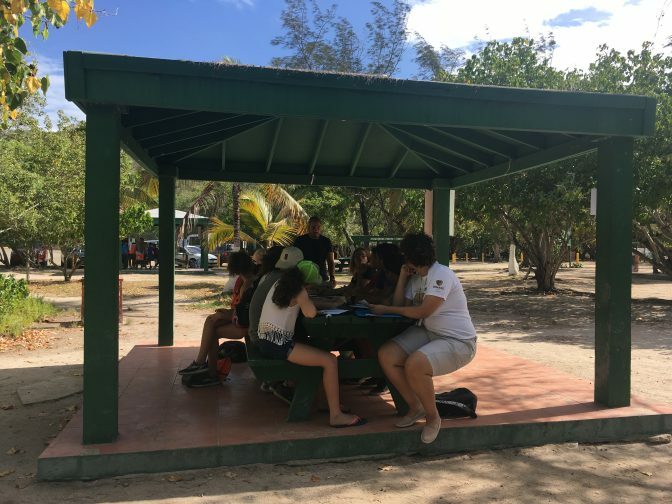 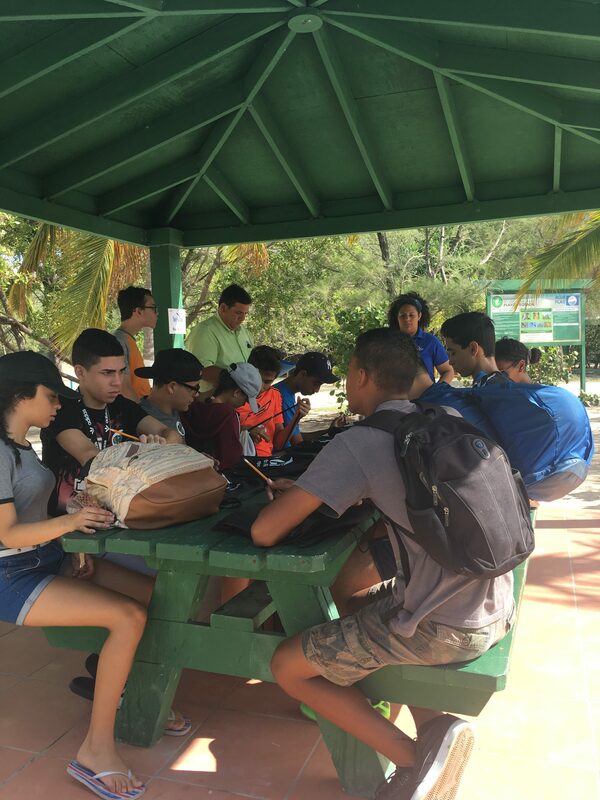 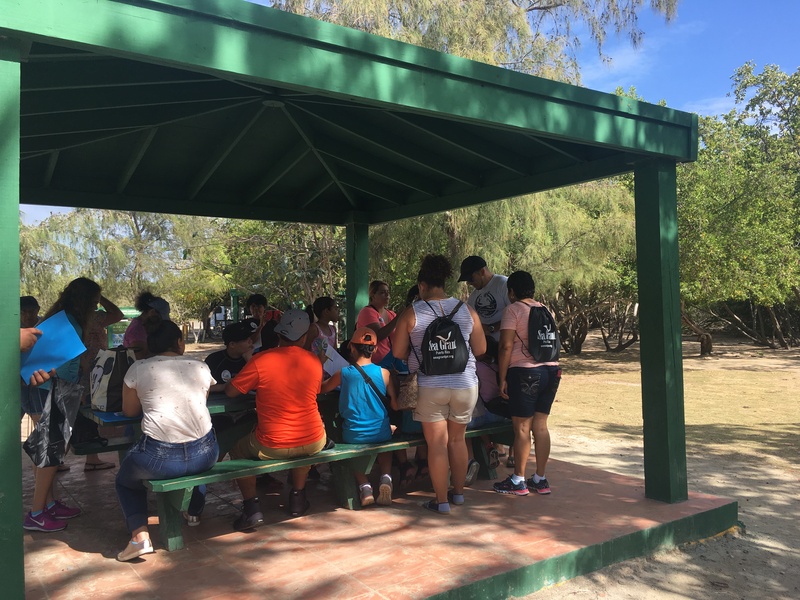 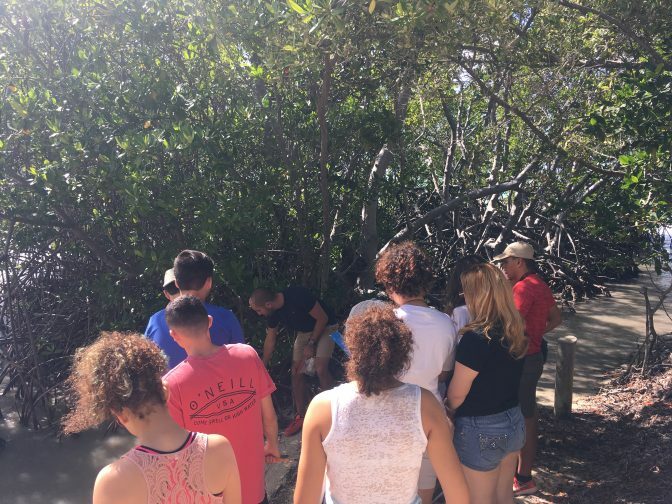 The students rotated along several stations in which they were shown mangrove trees, the difference between seagrasses and algae (seaweed), marine invertebrates, sand composition, and how to measure several different weather and climate parameters. At this last station, students observed the clouds and made their weather forecasts for the day. The students were all very attentive to everything on offer. 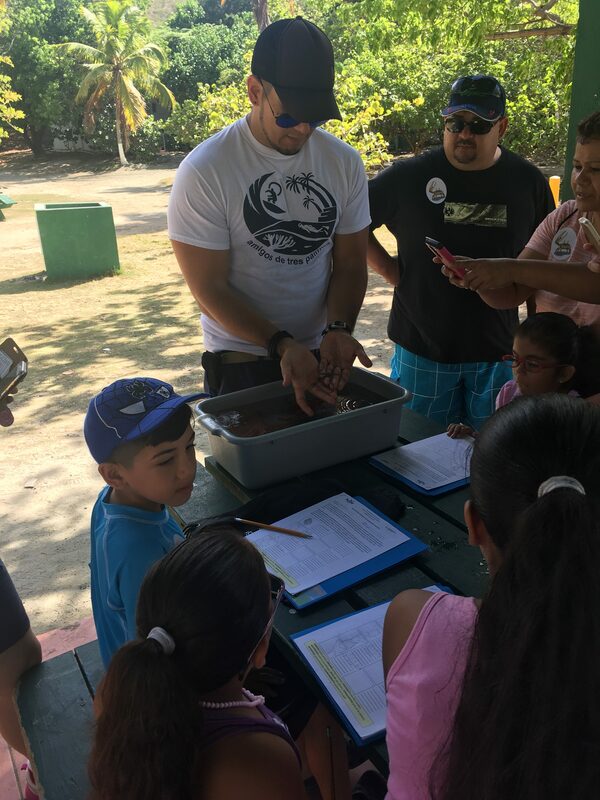 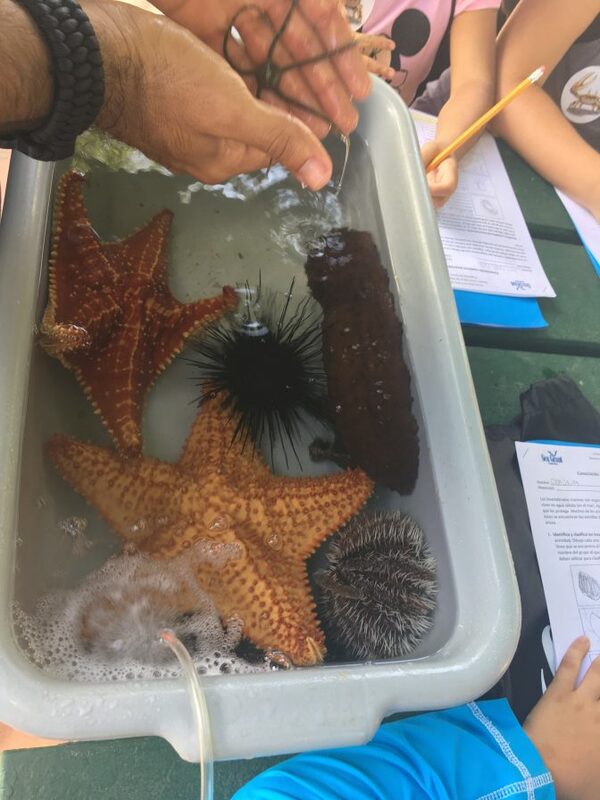 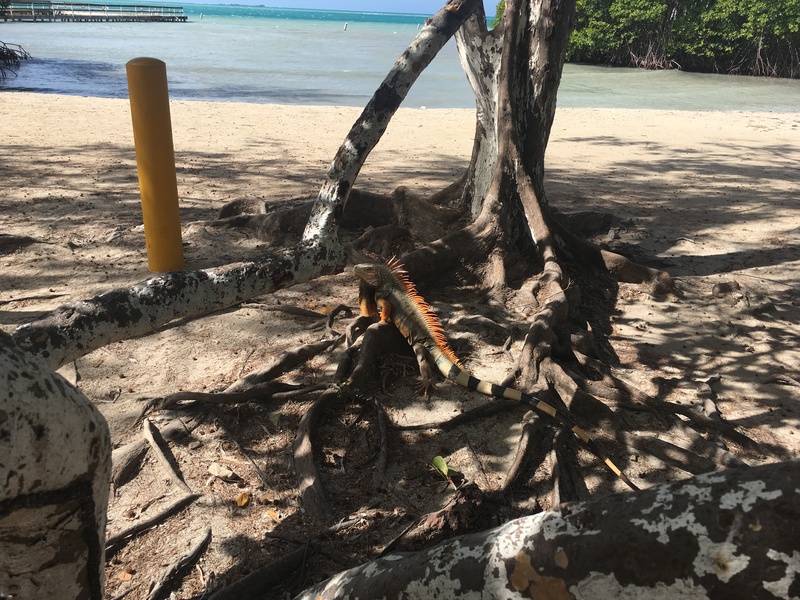 They loved all the stations, although the marine invertebrate station was particularly interesting to them because they could observe firsthand the different organisms that they have sometimes seen but never known much about. 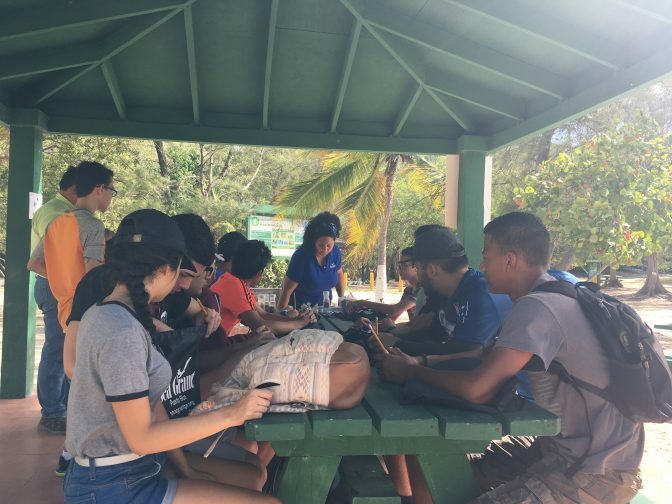 It was a very enriching experience for them; no doubt that the next time they visit the beach, they will view it in a different way.